If there's one fashion item that every girl must have, it's a versatile and reliable watch. Flashy jewelry aside, it helps you be where you should be on time--be it in class by the time the bell rings or at the conference room in time for your client meeting. Since it's the one accessory you would be wearing--and consulting--so often, we suggest you invest in a classic luxury watch that can go wherever you do. Watch brand Valii (whose name is the Mandarin translation for "elegance") recently launched a timepiece collection called "Gummy Scu" at the Peninsula Manila. This collection was created especially for young and active individuals who like to be in style at all times--even when their scheds are sooo packed! The design boasts of an eye-catching, oversized chrome-plated face and a set of interchangeable silicon rings and straps in many colors—perfect for mixing and matching with your wardrobe. Valii is the brainchild of jeweler Anita Chan, who turned the launch night into a joint birthday party with her business partners. The event was hosted by Tessa Prieto-Valdes and Grace Lee, and featured a mini fashion show that demonstrated the different styles and ways to wear a Valii watch. Local celebs and fashion bloggers came to witness the unveiling of the luxury pieces. 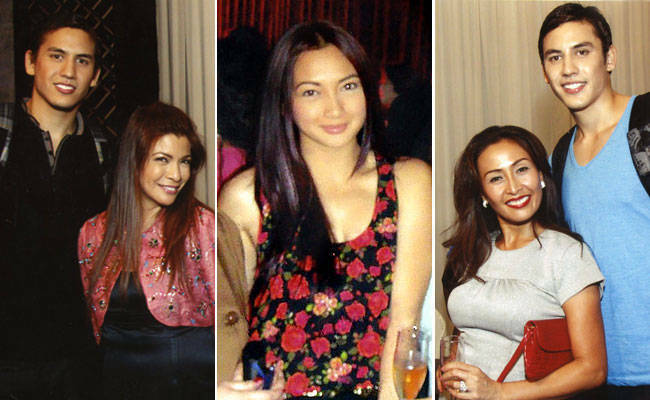 Iya Villania, Pinky Amador, Samantha Lopez, twin basketball heartthrobs Anthony & David Semerad, and Cosmo studs Kevin Sisco and Sean David were among the familiar faces we spotted at the party. Launch the gallery to view party snapshots from the Valii "Gummy Scu" launch. Valii is exclusively available at the Anita Chan boutique in Powerplant Mall, Rockwell, Makati City. For more information, call 898-1459, or log-on to: www.valii.eu.